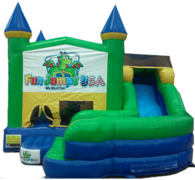 This green and blue funjump and slide is perfect for any occasion with no specific theme. 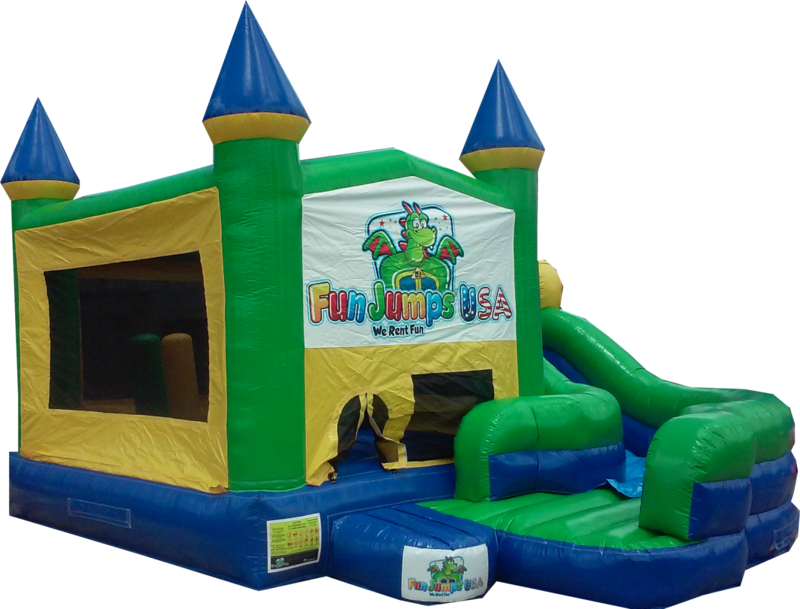 The weight limit for this jump is 500lbs. This rental's based price is for 6 hours. If additional rental time needed we do offer overnight rental which is 25% extra.